In the wake of “a resignation” from office of the former Hon. Minister of Foreign Affairs, today we saw what was termed “a removal” from office of another, the Hon. Minister of Justice & Buddha Shaasana; over allegations reported as being the failure to abide by the Collective Responsibility of the Cabinet (over the Hambantota Port Agreement) and the failure to speed-up prosecutions of alleged mass-scale corruption and malpractices of the previous regime. Emphasising that the idea of this dialogue is not to engage in any political discourse of what happened (or did not happen), having been involved with the formulation of the 19th Amendment to the Constitution in the immediate aftermath of the January 8th “silent revolution” I thought it was pertinent to look at several questions of law that arise in this process; perhaps as a precursor to an intellectual dialogue of the Sri Lankan polity as to how we are meant to be governed as opposed to how in fact we are supposedly “governed” (or misgoverned)! I suppose the best explanation of “collective responsibility” from the science of politics lies in the often quoted words (at times attributed to Churchill) that “whether we swim or drown, we must do it together”; which has been given legal recognition at Article 43 of the Constitution, requiring the Cabinet of Ministers charged with the direction and control of government to be collectively responsible to Parliament, therefore by necessary implication, to us the People. 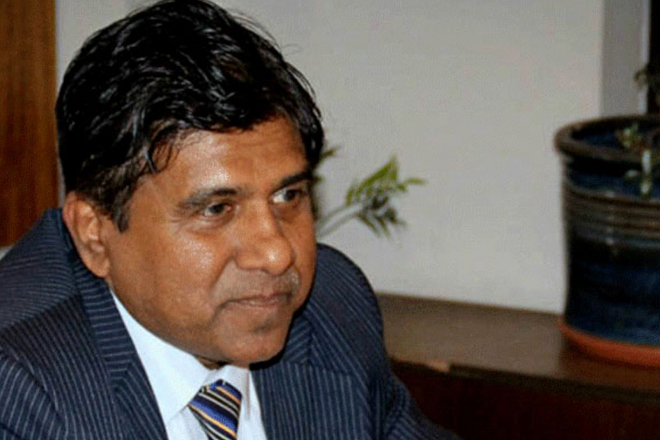 The common concept is that should any member not wish to be so bound, he must then resign from such collective responsibility of the Cabinet; which admittedly Wijedasa Rajapakse PC, MP did not do prior to his removal this afternoon. (1) Was the removal of Wijedasa Rajapakse PC, MP legal / sustainable in law? (2) Are the allegations against Wijedasa Rajapakse PC, MP matters that a Cabinet of Ministers can insist upon in law? (3) Do the provisions of the Constitution (following the 19th Amendment) permit Wijedasa Rajapakse PC, MP to challenge this removal? is an entirely separate issue which he may very well be guilty of. an act of the President to challenge same under Article 126 before the Supreme Court. evidence of the allegations, the charges, the inquiry into it and the ultimate removal. Cabinet also not guilty of breaching the law in entering that agreement? persons or cases giving priority over others a LEGAL request?